The good news is that we found a temporary workaround related to the various changes in shipping introduced by our shipping provider, Deutsche Post. So as of now, only two days after having to close it, we are re-opening the webshop and are accepting new orders. We still need to introduce plenty of changes such as talking to new APIs, rewriting the shipping integration software for our ERP system, integrating printers, etc. - which will all distract us from developing Open Source mobile communications - but at least we can now do that while the shop is still running. NOTE: This post only applies to the sysmocom webshop which we operate as a service to the wider user and developer communities around Osmocom and other open source and open hardware projects. The sysmocom sales department is still selling the professional portfolio products via normal sales channels as before! Unfortunately our shipping carrier, Deutsche Post (the German post office) has decided to change pretty much all aspects related to international shipments from January 1st, 2019. Those changes start from not being able to send goods in letters anymore, introducing new types of shipping products that are not an exact replacement of the old services, requiring completely different shipping labels in different size/format, differences in terms of insurance coverage, etc. Despite sysmocom shipping more than 600 webshop orders per year with Deutsche Post, and us using the existing APIs for electronic purchase and franking of shipments, we have not been informed in advance of those changes coming into effect on January 1st, 2019. The webshop has to remain closed until this is completed. We don't have an expected date when it will reopen, but it's likely going to be closed for at least all of January 2019. Please refrain from inquiring sysmocom about purchasing related products until the webshop reopens. We do not have the resources to manually process orders outside our (until now) streamlined and automatized webshop order process. OsmoCon (Osmocom Conference) is the technical conference for Osmocom users, operators and developers! As a result to the success of last's year first OsmoCon, we are proud to present this year OsmoCon 2018 in a new venue with even more enlightening speeches over two days. The Osmocom Conference brings together users, operators and developers of the Osmocom Open Source cellular infrastructure projects, such as OsmoBTS, OsmoBSC, OsmoSGSN, OpenGGSN and others. Have a look at the full schedule and buy your tickets here. The dinner on Thursday evening will give you the possibility to network and relax. Join us for two of presentations and discussions with the main developers behind Open Source Mobile Communications, as well as commercial and non-profit users of the Osmocom cellular infrastructure software. Find more information on Osmocom. 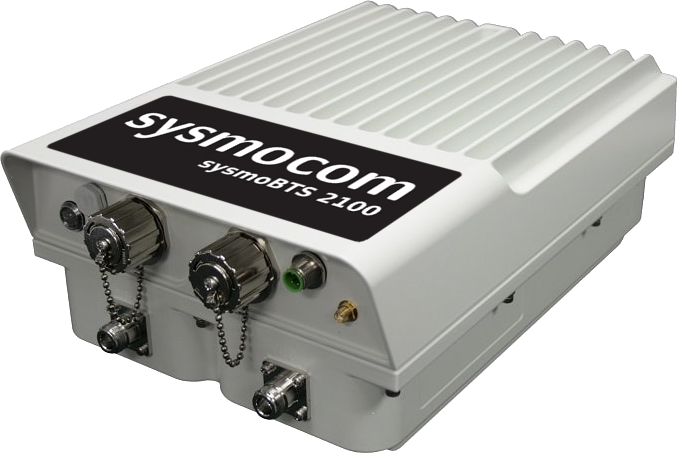 The sysmoBTS 2100 is a new, low-power, small-formfactor IP-backhaul GSM BTS for medium coverage outdoor applications. Replacing the popular sysmoBTS 2050 it offers higher output power, integrated cavity duplexers and bigger maximum reception area. To complete sysmocom's portfolio of lab and test solutions, we are proud to introduce our new sysmoQMOD quad modem board. 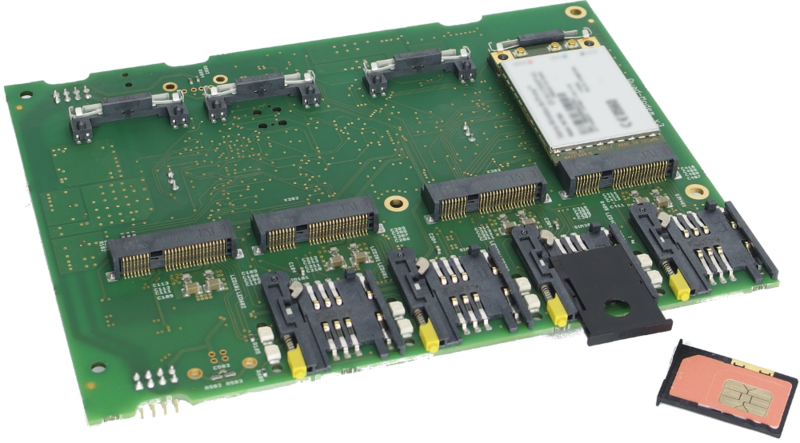 The board can carry up to four mPCIe WWAN modems which can be remotely managed and monitored. The built-in remote SIM forwarding capability allows the modems to remotely utilize SIM cards from different physical locations via internet. The first African Opencellular workshop will take place from June 19-20 in Nairobi, Kenya. This event is an excellent opportunity to learn about the OpenCellular project within the Telecom Infra Project (TIP), led by Facebook. The Osmocom GSM protocol stack is at the heart of OpenCellular. sysmocom CEO Harald Welte will give an overview about what you can achieve using the Open Source Osmocom cellular protocol stack and participate in the panel "rural connectivity and open-source: challenges and opportunities". sysmocom develpoer Pau Espin Pedrol will cover the Osmocom end-to-end test framework osmo-gsm-tester. sysmocom announces the availability of a starter kit to enable an easy jump start into testing and developing 3G applications. The well known open NITB has been upgraded to 3G (aka UMTS or WCDMA) network. It now hosts hNodeB-Gateway, MSC/VLR and HLR, SGSN and GGSN but remains a simple "full network in one box" system. 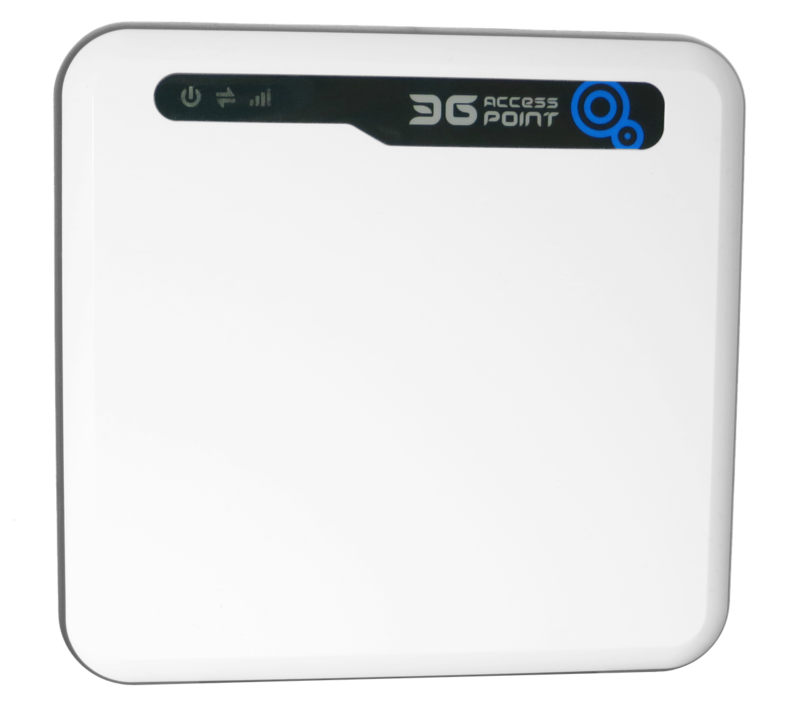 This makes the setup of a self-contained 3G network a snap and you can invest the resulting time savings in your research and development work. OsmoCon 2017 is held on April 21st, 2017 and is the first technical conference for Osmocom users, operators and developers. sysmocom is happy to provide organizational and administrative support for OsmoCon 2017. You can get your OsmoCon 2017 ticket at the sysmocom webshop. 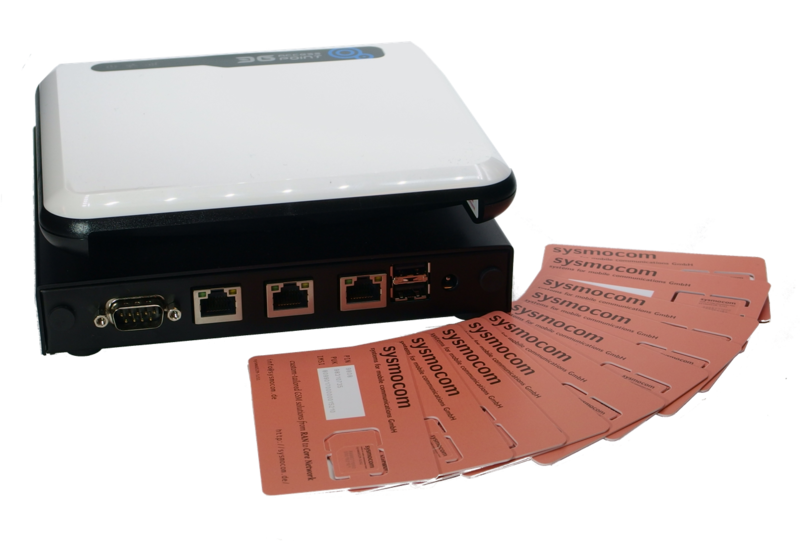 Contribute to Osmocom 3.5G and receive a free femtocell! In 2016, Osmocom gained initial 3.5G support. This means you can run your own small open source 3.5G cellular network for SMS, Voice and Data services. However, the project needs more contributors: Become an active member in the Osmocom development community and get your nano3G femtocell for free. We hereby issue a call for proposals to the general public. Let us know how you would help us improving the Osmocom project if you were to receive one of those free femtocells. We will setup a dedicated community where all developers of the 3.5g acceleration project can share their experiences and will receive dedicated support of the Osmocom team. For this exciting project, sysmocom - one of the main drivers of the Osmocom project - will provide 50 nano3G femtocells for free, each with 5 SIM cards for an easy start. The call for proposals end is extended until 15th of February 2017. The selected developers will be announced on February 27.